參與「香港初創企業指數」 | HK Startup Index call for actions! CALL FOR ACTION! 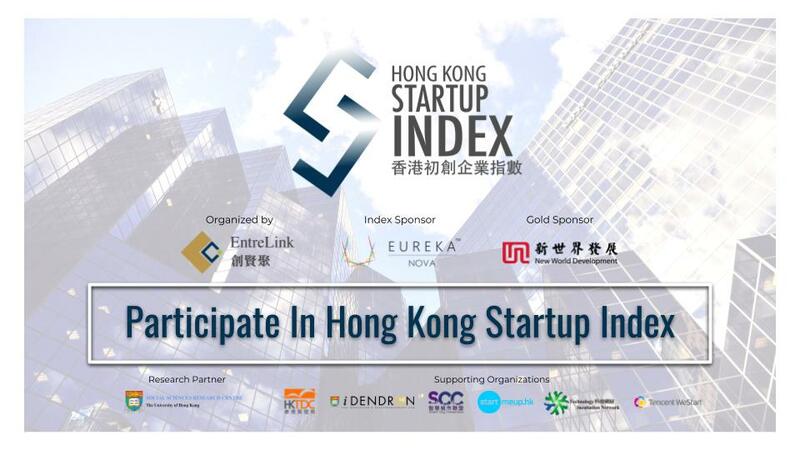 TAKE PART IN THE FIRST HONG KONG STARTUP INDEX! Supported by the Social Science Research Centre, The University of Hong Kong (HKUSSRC), we are conducting the FIRST HONG KONG STARTUP INDEX 香港初創企業指數 to rank the favourability of business environments for startups in Hong Kong, ASEAN & East Asian countries. We aim to provide insights for startups to choose where to establish businesses, and inspire Hong Kong government to facilitate local startup business environment. If you want to SHARE YOUR INSIGHTS and GET INSPIRED where to expand your business, please complete the questionnaire! You may also be RECOGNISED by our Index sponsor, New World Development, as the SUPPORTING STARTUPS, contributing to the Index development.